The year has passed quickly and we decided to mate her for the first time. Mating with our chocolate GIC Florentino’s Ringo Star seemed very obvious in this case. However, in our opinion it is thus hardly surprising and innovative, as this matter has already been managed by other breeders. 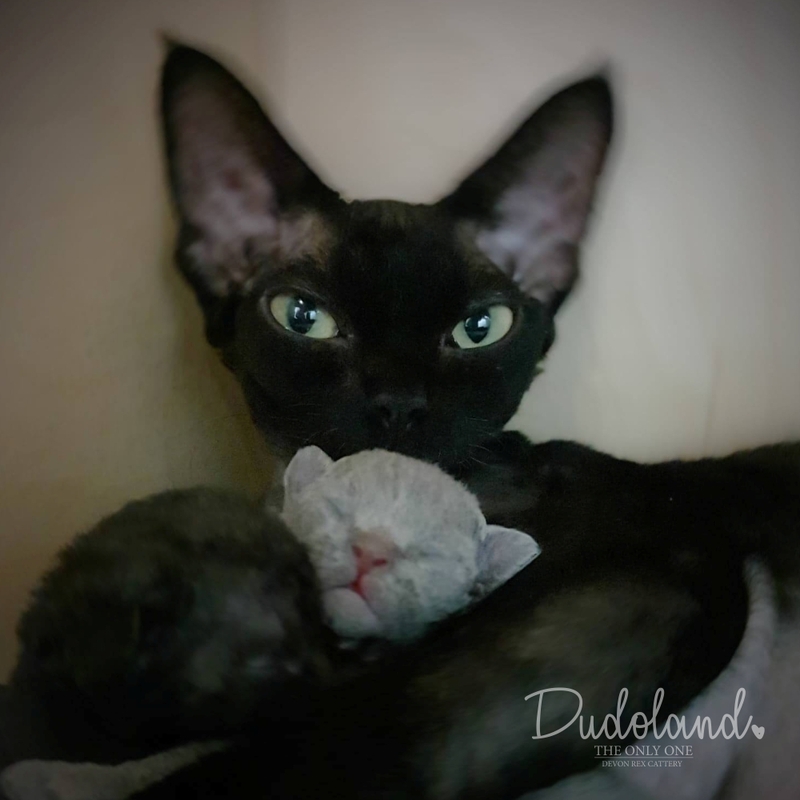 We have a breeding plan and we are very sentimental about the noble Polish line Loki-Miao*PL. It was a starting point for our breeding line and it will continue to be a basis for our vision of these wonderful cats. 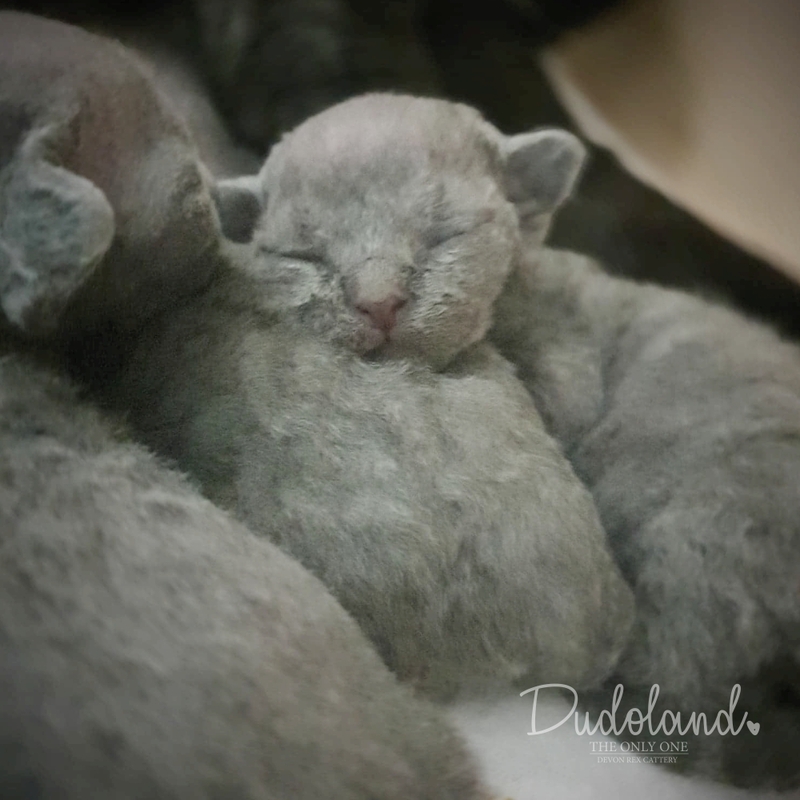 Thus, we have decided to have this unique combination which will rather not be with a pitch-black boy born in our breeding – Ch Fabiano Dudoland *PL. 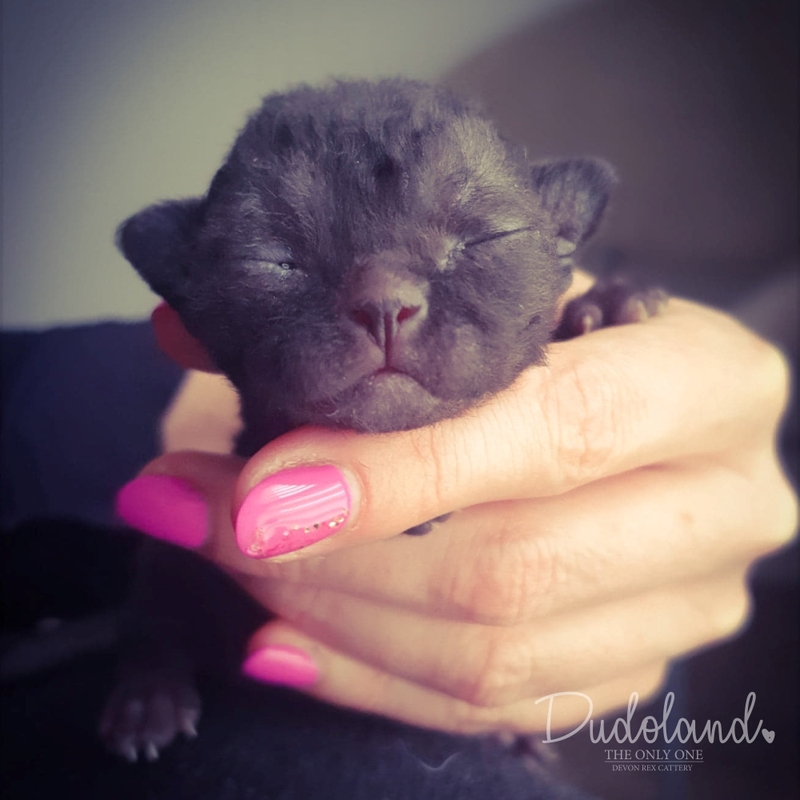 Fortune favours our plans 😉 and 65 days after the first date our “Norwegian treasure” delivered 6 healthy kittens – in total 475 grams of black and blue happiness! ( N ) Santala’s YAYA is an absolutely exceptional mum and her Norwegian operating system is a real WOW to me. 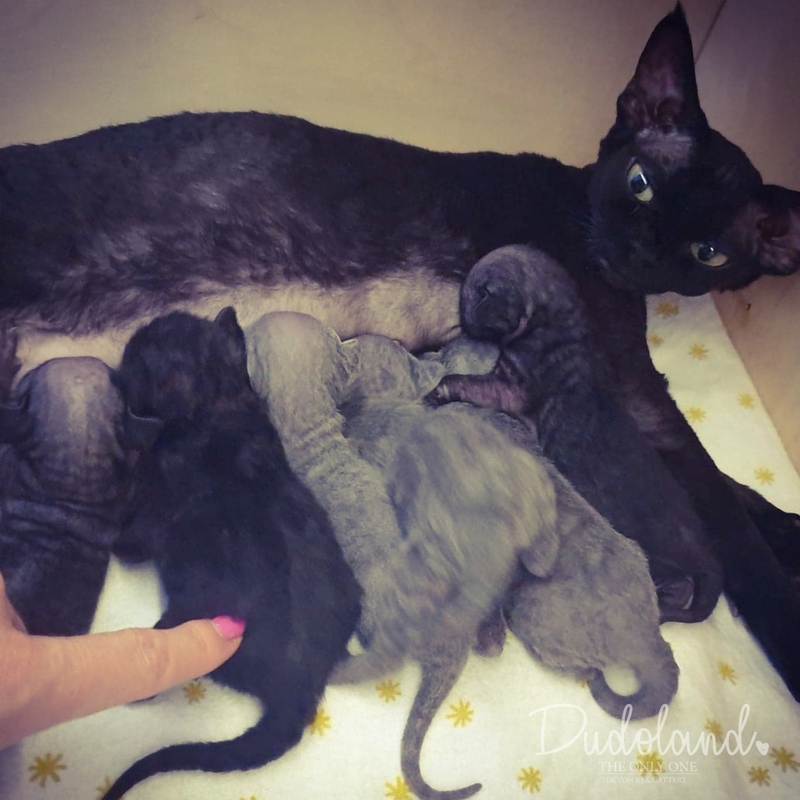 She takes care of her new-born children being a wonderful, rigorous and patient mum.